Want an adventure inside of your pocket? Look no further because Wild Life Outfitters have brought you a blanket that is more than worth cherishing. With attractive colors and highly affordable prices, you won’t be able to resist buying Wild Life Outfitters Kanga Pocket Blanket even if you don’t need it. Camping can mean many things to many people, but the purpose of doing it remains the same – to have fun. And do you know what spoils the fun of a p﻿﻿﻿erfect camping trip? Well, this should come as a no-brainer but it is obviously the chance of encountering untoward incidents like sudden rainfall, not finding a decent place to sit, feeling chilly during the night, and so on. Sure, you may back a lot of items in your backpack but have you wondered how far that would take you? The answer is not far enough. So, if you want to enjoy and make the most out of your outdoor trips, it’s important to invest in the right quality products. And what product can be more useful than an all-purpose camping blanket to solve all of your worries. The Kanga Pocket Blanket is an item that is no less than a godsend as it can greatly simplify the process of camping. It works like your conventional blanket but the benefit lies in its portability. This product comes as a folded one stored in a pouch. It can be easily carried by attaching it to your backpa﻿﻿﻿ck using the carabiner or by putting in your pocket as it is pocketable. Size: As you know, this product gained its significance mainly due to its size because portability is very important now-a-days. As you can see at Amazon.com, the size of this unfolded product goes up to 55" x 44", which means that it can easily accommodate 2 persons to lay back, preferably your loved ones. And it can accommodate 2 to 4 persons to just sit and relax. 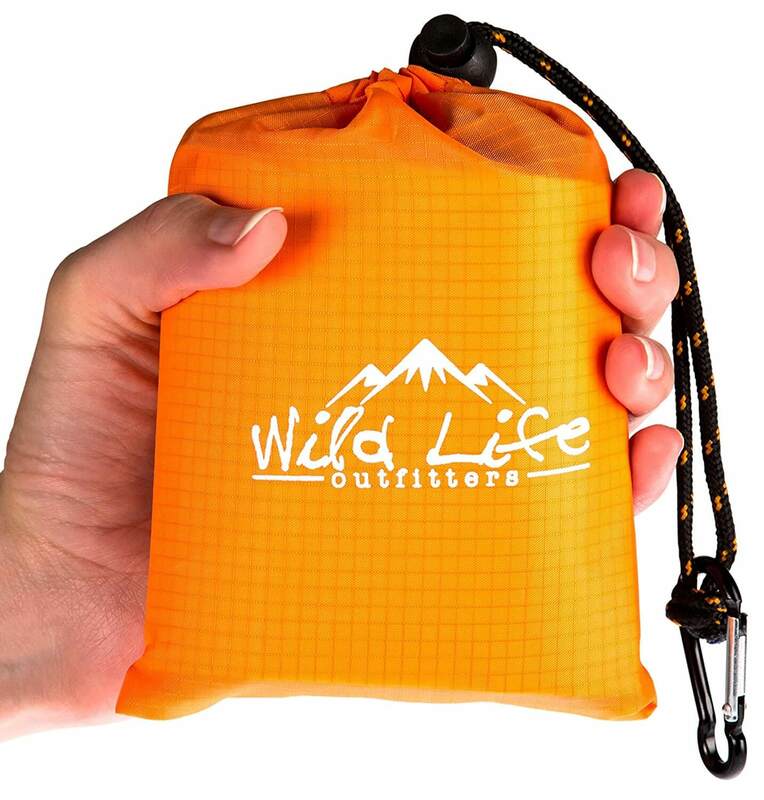 The company states that this product is pocketable and comes to a weight up to 3 ounces which means that this product is ultra-weight and can be easily carried anywhere. So, it is clear that this product gained its significance mainly because of its portability. Material: Ripstop, a kind of fabric made up of nylon by following an efficient set of reinforce techniques. By following these kinds of techniques, it can actually help that to become free from ripping and tearing. Kanga Pocket Blanket is made of pure ripstop polyester. The company states that the key ingredient is mainly responsible to acquire maximum durability. Durability: Kanga Pocket Blanket is a well-known product because of its durability. As you know a customer looks at a product’s durability than any other feature these days. This product is puncture resistant which means that you can happily spread this product on floor which contains rocks, twigs and sand. Nothing is going to happen to this product as it is puncture resistant. The company states that this product is water resistant. It means that you can happily spread the product on wet surfaces like grass or slight mud. You no need to worry that water might penetrate through the blanket and spoil your clothes. They also state that this product is also sand proof. There is no need to worry that small particles of sand might spoil your product. Versatility: As you know, any product’s significance depends mainly upon versatility. 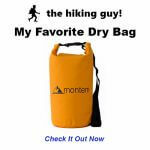 Because of that, this product is much familiar to people who do camping and travel a lot. This product can be used as a blanket to prevent from strong and cool winds in windy days. It can be used as a tent or tarp which protects you from rain and sun shade. The company states that this product can also be used as a car seat cover while you are travelling. If you are planning for a beach, this product can also be used as a container to store your wet clothes. When you are eating, this product can be used as a table cloth. So, looking at the multiple uses, you can say that this product scored maximum score in versatility. The people who have brought this product from Amazon.com love it, which is why it has a rating of over 4.5/5 stars. This multipurpose blanket has received over 90 customer reviews, most of them being positive and speaking the praise of its utility and portability factor. Truth be told, Wildlife Outfitters Kanga Pocket Blanket is a product that is good enough to take any position on our list. If you’re looking forward to making a worthy investment, then look no further because this item is all that it promises. Go back and read more camping blanket reviews! The Kanga Pocket Blanket is an amazing product which has got so many benefits which helps customers to use this product more efficiently. Looking at the key benefits, this product is puncture-resistant, water proof, and sand proof. What else a customer needs? As you know, any customer is ready to buy a product which is loaded with benefits and with versatility feature. Therefore, this product is the best which suits all your requirements. If you haven’t made up your mind already about buying a camping blanket, I suggest you go ahead and order this one immediately because it is worth it. You never know when it might go out of stock, putting your trip on hold indefinitely.